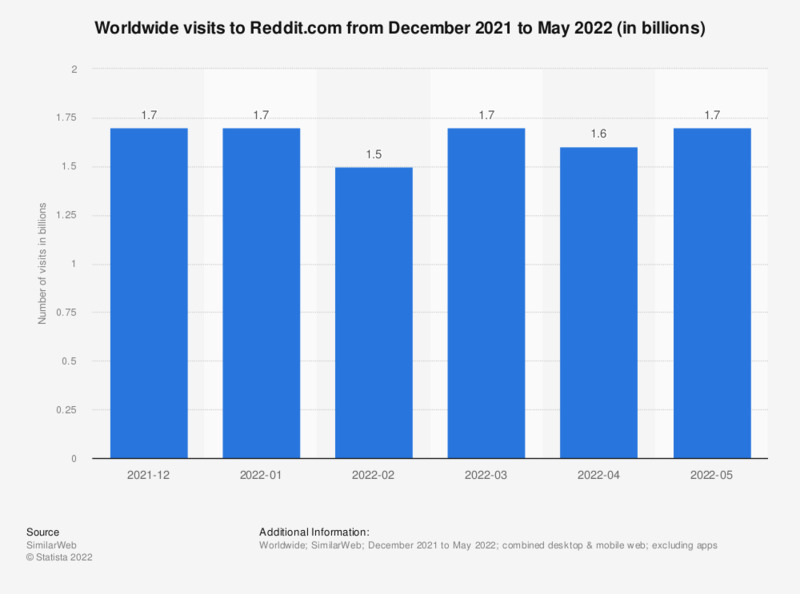 This statistic presents the number of unique visitors to Reddit.com from February 2018 to March 2019. It was measured that almost 1.6 billion users had accessed the site in the most recent period. The United States account for the biggest share of Reddit's desktop traffic with over 38 percent of desktop traffic, followed by the UK, and Canada. According to a February 2017 survey, six percent of internet users in the United States used the social platform in their spare time. In April 2019, 38.35% of traffic to Reddit.com originated from the United States.